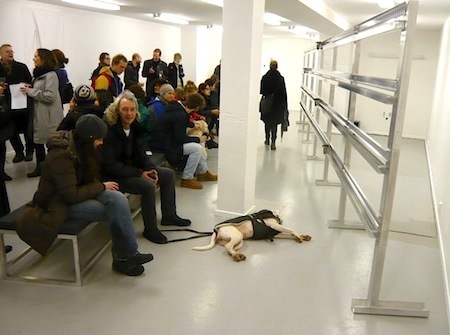 Friday February 24th saw the opening of a second Norwegian Resonance event, staged by the Lydgalleriet in Bergen, one of the network’s associated partners. An indoor version of Stefan Rummel’s Resonance piece Articulated Chambers, and Extended Speakers, one of the components of Pierre Berthet’s Extended Drops piece, were part of the sound art exhibition Extensions (curated for the Lydgalleriet by Carsten Seiffarth) that could be seen and heard in Bergen last summer. 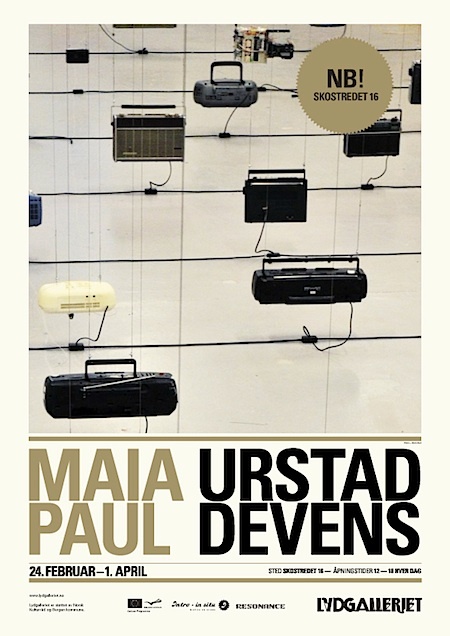 The coming five weeks the Norwegian sound art gallery will showcase the Bergen installments of Resonance works by Maia Urstad (“Meanwhile, in Shanghai…”) and Paul Devens (City Chase), in two rooms of the gallery’s temporary premises, at Skostredet 16. “There were a lot of interested people, a good response and a very nice atmosphere,” Maia Urstad reported about the opening of the exhibition in Bergen, which continued to attract quite decent numbers of visitors during its first days. Maybe almost all of the inquisitive art loving people of Bergen. But what about their children? There was at least one visitor who wondered why they weren’t at Friday’s opening. In his ‘Wyatting’-blog entry on the event, Sven Sivertsen, who shot the pictures of the opening of Lydgalleriet’s Resonance exhibition, observes that there are hardly ever any children around when he visits Bergen’s Lydgalleriet. Even though, Sven writes, “much of what can be seen and heard there seems to be perfect for inquisitive people of all ages”. I think he raises an interesting point. Children – and maybe even especially children – will surely love to watch the little sounding cars move along the tracks of Paul’s City Chase, and wander through Maia’s suspended forest of old, whispering transistor radio’s… So let them see and let them listen. This is the music of the future, it dearly needs our childrens’ ears. 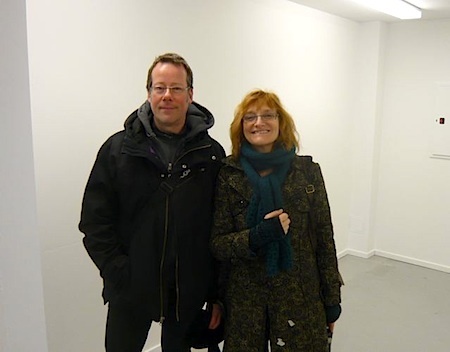 Paul Devens and Maia Urstad at the Lydgalleriet, Skostredet 16, Bergen, Norway. February 24th-April 1st, 2012. Open daily from 12h-18h. 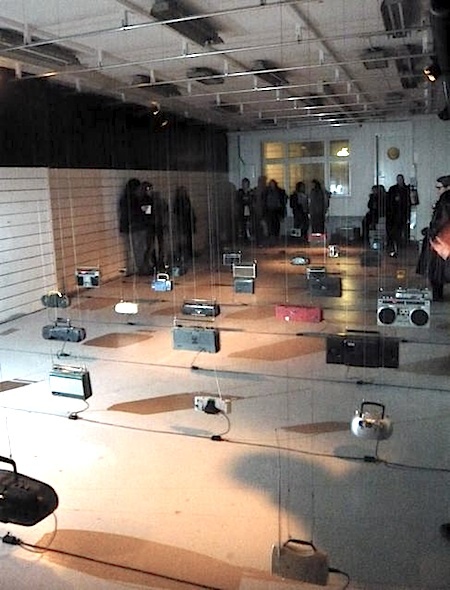 You are currently reading ‘But what about the children?’ at Resonance - European sound art network.